At Mitutoyo future developments in measuring technology are based on the success of 80 plus years in business. Today’s international leader in its field with a product range of more than 5000 high-tech devices and machines started in 1934 with just one single tool: a simple mechanical micrometer. Mitutoyo’s company founder Yehan Numata succeeded in establishing this micrometer – proprietarily designed and manufactured – as a manifold reference product he started broadening the scope of his attention by including other areas of measuring technology. Over the following years and decades the company evolved to become one of the leading Japanese manufacturers of devices for length measurement presenting the broadest range of products in the field. In the early sixties – after successful introduction into the American market – further expansions in Europe followed. Thus the company was positioned in the best possible way to enter a new era of measuring technology: the introduction of electronics gaining ever more importance in the seventies. And just like the mechanical devices the new electronic form measuring instruments, vision measuring systems and coordinate measuring machines carrying the Mitutoyo logo proved most convincing to the customers all over the world. Today, more than 80 years after the founding of the company, the brand name Mitutoyo not only represents the most extensive range of products for length measuring but also stands for the most important full-range supplier globally operating in this line of business. Offering the widest product range in the line of geometrical measurement technique, Mitutoyo is the most important full-line supplier internationally. 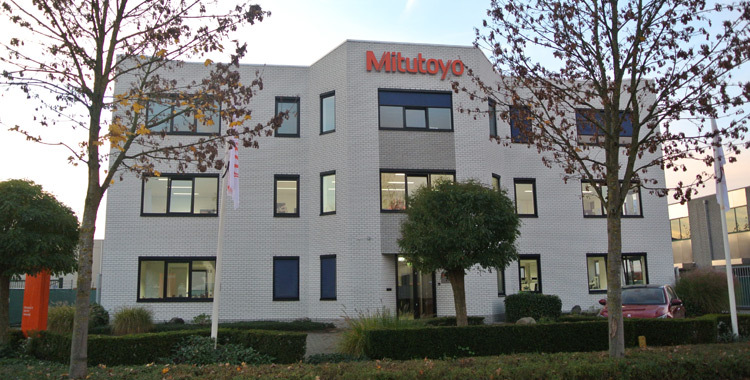 At present the Mitutoyo-Group is operating in 40 countries world-wide, maintaining more than 80 branch offices and national distributor networks, 65 M³ Solution Centers, 17 production sites, six research and development laboratories, 12 metrological institutes and 20 calibration laboratories. Additionally, there are Mitutoyo representations in round about 60 more countries. Thus, our customers meet a Mitutoyo infrastructure being in place for years on any important global market. Mitutoyo is researching and developing measuring solutions for the present and for the future of quality assurance, mobilizing enormous financial and technological means and with a substantial assignment of manpower. The Mitutoyo-owned facilities for research and development are available word-wide. The results of these world-wide activities taking all important markets into account are products featuring an exemplary performance, reliability and accredited quality.